Every country-house owner knows how important it is to have not only the car but also specially arranged for him the space where you can create a comfortable environment for the storage and maintenance of the machine. Today there are several options for placement of the garage on the site. 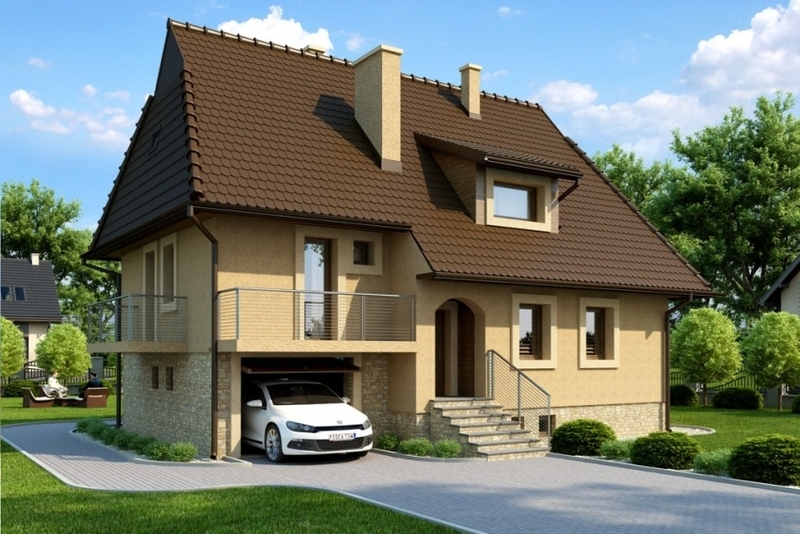 This article considers the projects of houses with garage under one roof: the advantages and disadvantages of such a decision, as well as peculiarities of planning and construction. thanks to this Association significantly save area. Such rational decisions allow us to place even the most modest station. The disadvantages of this solution include the need for high-quality heat and sound insulation between these two rooms, as otherwise the cold from the garage will get into the adjacent room, and the sound of the engine of the vehicle will disturb the household. In the selection process or development of the project, it is important to consider how these objects will be placed relative to each other. And in this case, the question arises again concerning garage because the location of the house is almost always obvious. side ground the garage is on the right or left side of the house. Its main convenience is the ability to finish it to the already finished house, as in the case of the first two options both facilities shall be designed and erected at the same time. 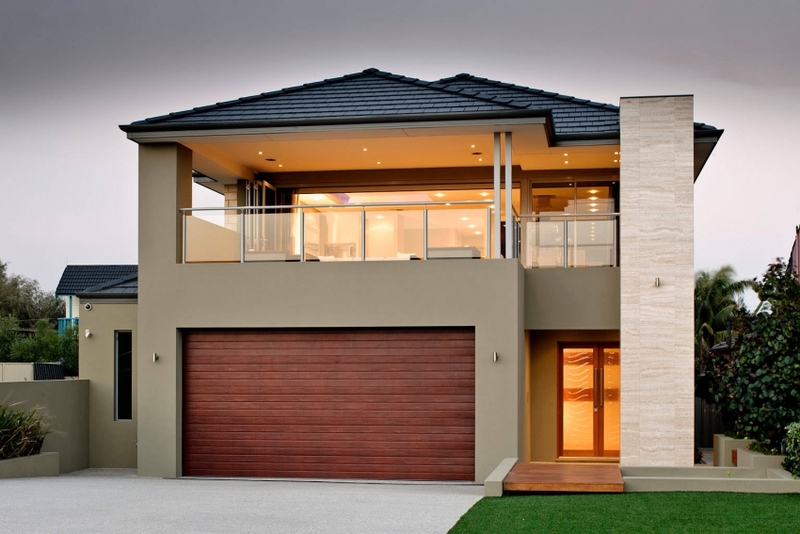 One-storey houses are much more often than buildings with two or three floors. This is due to many factors, including ease of installation of the Foundation as well as the simplicity of implementation of the project. After all, a one-storey building does not require slabs and stairs. The question of compatibility of the garage one-storey houses are the most convenient because they eliminate the need to create changes in roof level. 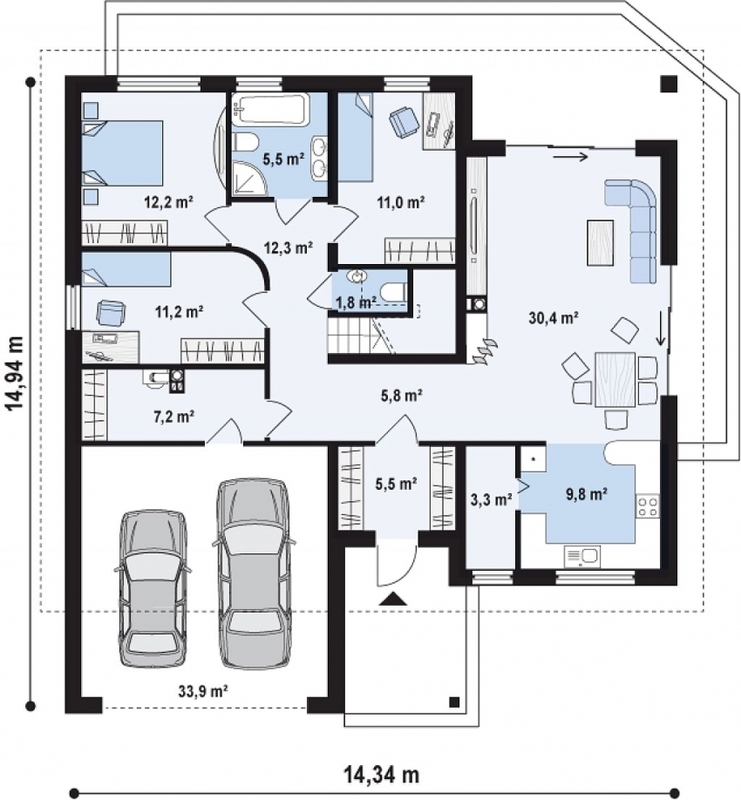 It is extremely important to pay due attention to the layout of one-storey house with a garage, and place all the premises thus to avoid undesirable neighborhood. For example, this applies to children’s and garage, which must not be adjacent. 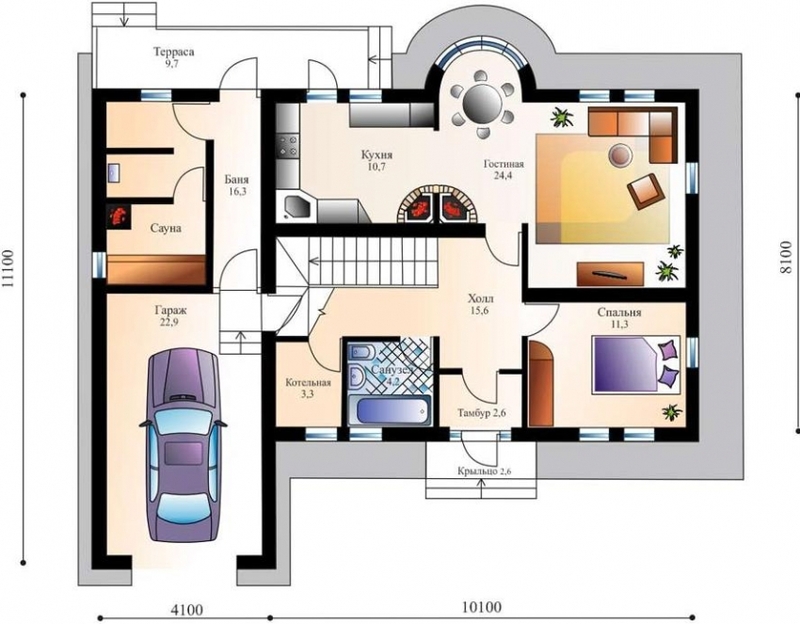 Ideally, between the living rooms and storage space for car, must be a technical room, a kitchen or bathroom. A useful tip! It is not necessary that the garage and the house were located close to each other. Leaving between them a small passage, which can be, for example, a pantry, you will create something like air cushion that provides additional heat and sound insulation. If to speak about the specifics of the arrangement of the roof for this design, for this purpose, they often resort to the arrangement of the gable roof, as it is the easiest and most affordable option. However, some owners do not want to use for your home standard solutions, find more interesting options. Thus, the house can be designed pent roof and above the garage is flat. This houndstooth design looks great, only the drainage system in this case requires especially close attention. Construction of a two storey house the site’s owners may resort for different reasons. Someone focused on the number of people living in the house, and someone just wants to build a big and luxurious house. But when it comes to projects of 2-storey houses with garage, often this is dictated by lack of space on the site. Therefore, the option to have a comfortable accommodation with all amenities even on a very modest site, for many becomes the only solution. 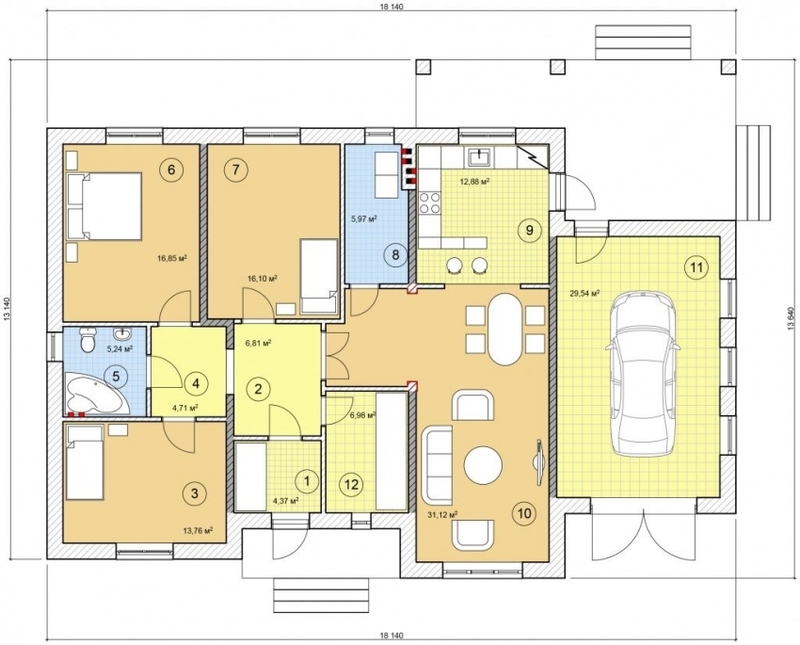 Layouts of a two story house with a garage there is a huge number. Among them are the fairly simple design or complex multi-level projects. 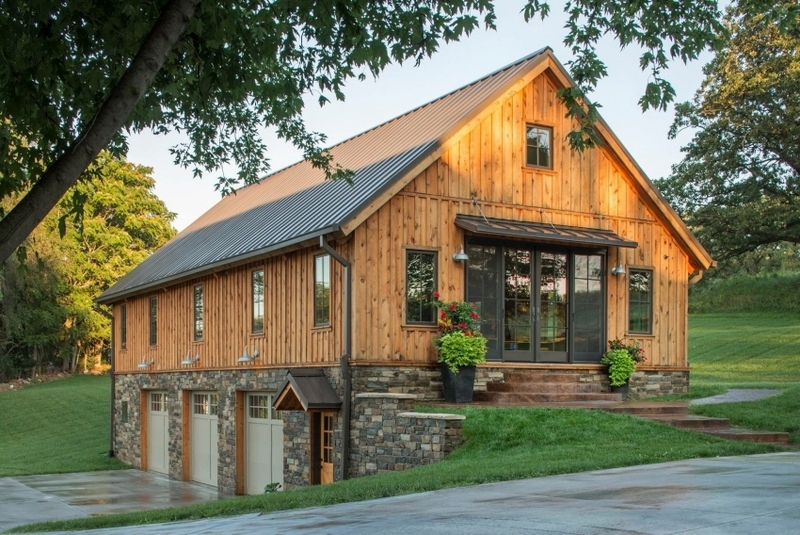 However, the most common option considered is this: the garage is in the basement, on the ground floor – living room, kitchen, bathroom and hozomeen (storage room, furnace room) on the second – living rooms. To connect to all levels of are the stairs. A useful tip! If you extend the basement, then the extra space can serve as a place for decorating verandas. 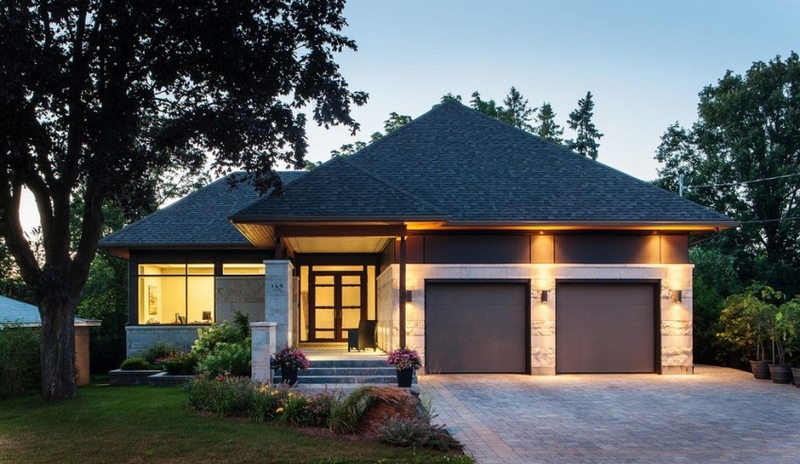 Looking at photo 2-storey house with a garage, you can be sure that this addition gives the structure a certain exquisite look. Moreover, this solution will allow you to have additional a area to stay. Another photo project two-storey house with a garage, which is always worth paying attention to – long building at the end of which is a garage. This option is very useful when we are talking about the need for departure and arrival, as gates road box will have an entrance directly on the street. But in this case it is best to provide two entrances to the house from the outer side (i.e., from the side of the garage) and the yard. As in the previous project, next best placed non-residential premises (bathroom, kitchen, pantry), and all rooms are equip on the top floor. equally important is the waterproofing. To ensure the in car unit is the appropriate level of humidity, it is important at the planning stage to provide a good drainage. A useful tip! In the case of placing on the side of the garage after the house was built, it is extremely important to keep a bunch of walls. This should be incorporated in the project and to be respected at all stages of construction. Often because on the site there is not enough space to build a separate garage, often have to deal with the fact that there are not one, but two cars at once. Of course, this is the most popular and convenient form of transport, but how to solve the problem with the storage and maintenance of another vehicle? 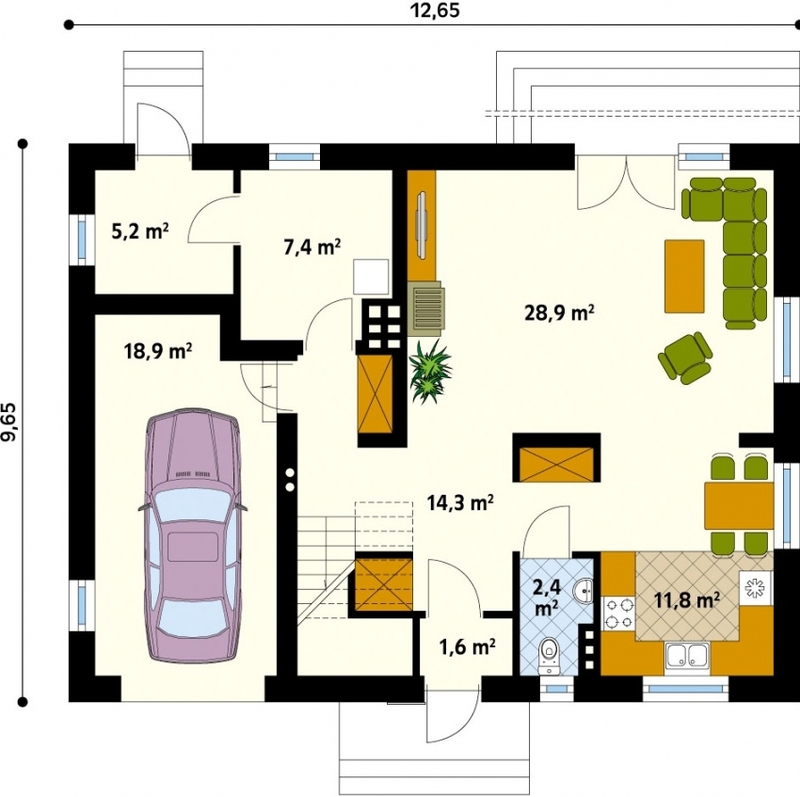 Consider projects of houses with garage for 2 cars. Installation of ventilation in the cellar and the basement garage. Ventilation metal garage. the area allotted for one car should not be less than 18 m2. 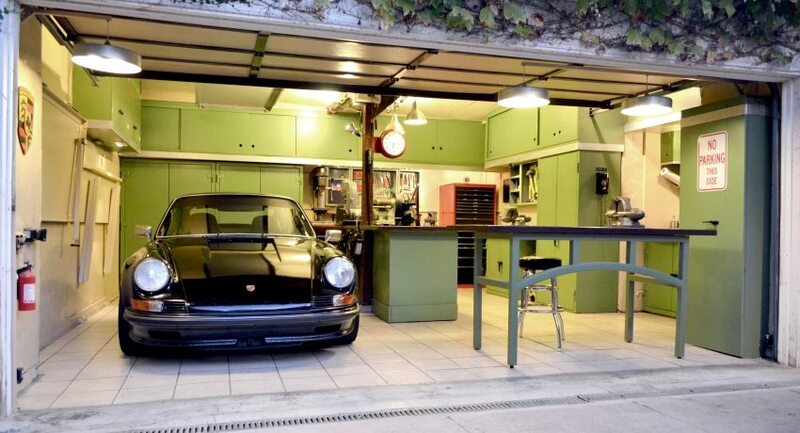 It is necessary first of all to the garage you could put almost any car. After all, even if the dimensions of your machine very modest, in a few years everything can change, and it is necessary to take into account. the gates to the garage should be such that the departure did not represent any difficulties. 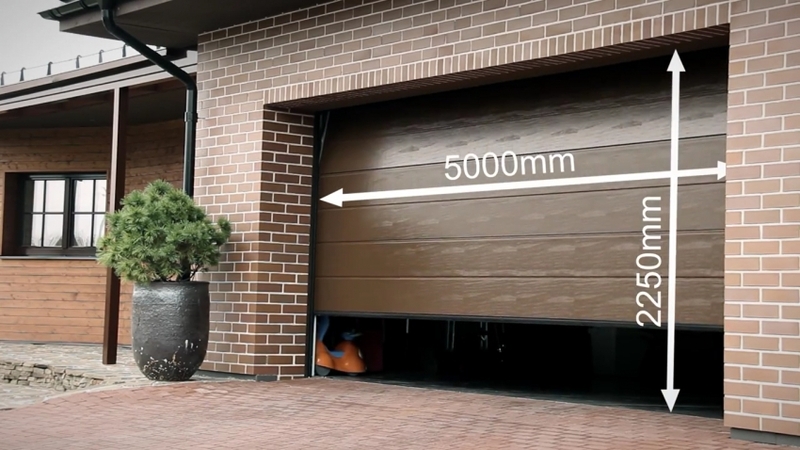 Usually the standard sizes are 2,5×2 m in width and height, respectively. Rules for the height of the garage in a private house also provide that the ceiling of the car box should be at least 2.2 m.
A useful tip! As the car consists of metal, it is easy to corrode in the case of storage in inappropriate conditions. Therefore, it is desirable to provide high quality heating and ventilation systems. 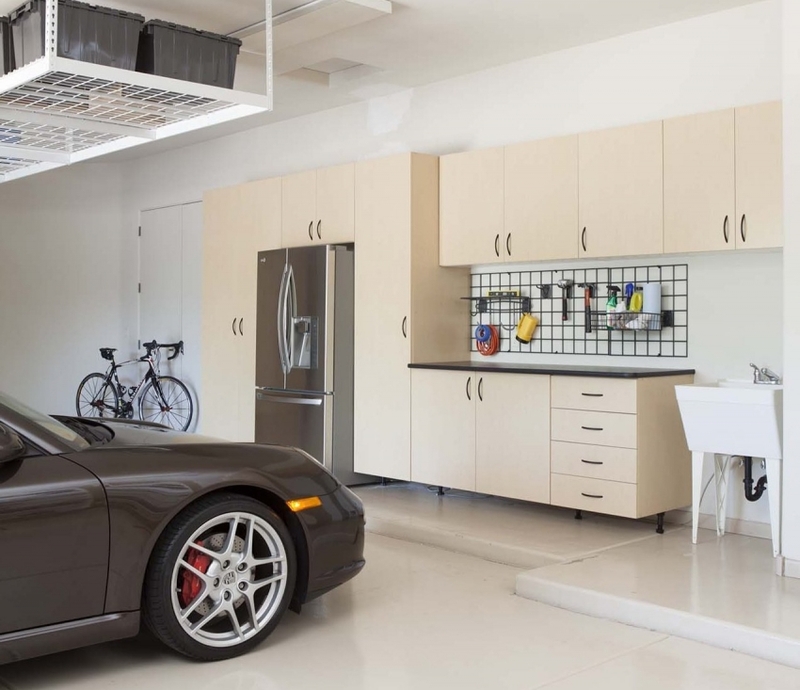 When viewing photos of garages in private homes, it should be noted that often this part of the structure looks neorganichno with its environment. Often, the garage looks unnatural against the background of exquisite home, spoiling your view of the perception of the whole picture. Consider what materials can be used for construction, as well as some styles more than others are suitable for construction. 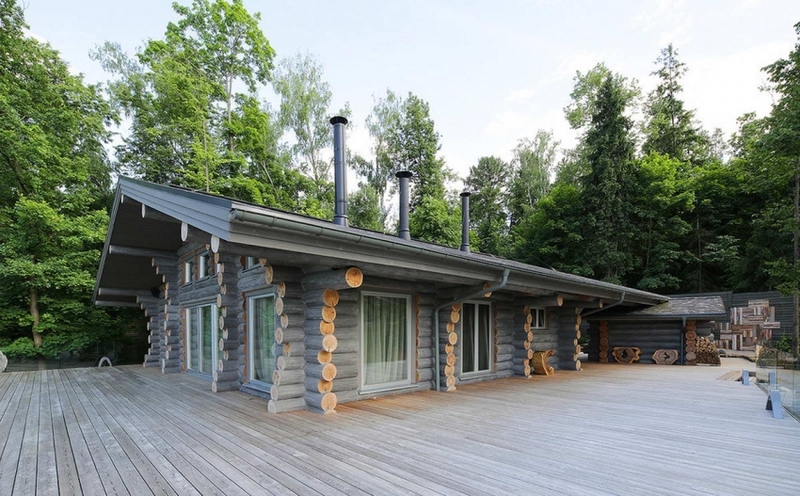 Russkaya USAD’ba, or, to put it simply – timber home, with garage or without. Typically, such buildings, made of wood, are popular outside the city and rarely built within large settlements. 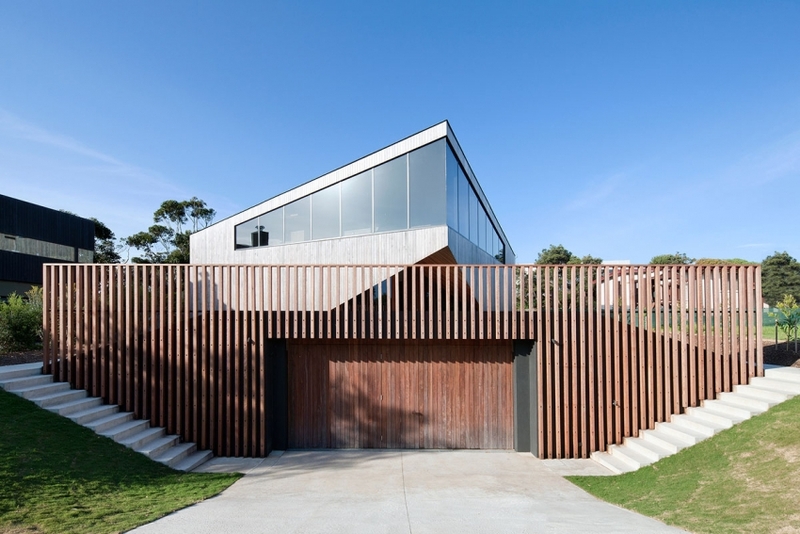 Perusing projects of houses from a bar with a garage, you can see that such a common material as wood may be used to implement a very unusual, but very practical ideas. House in English style is characterized by its simplicity and at the same time elegance. Simple lines and geometric shapes can be added with columns or mouldings that distinguishes the house from others. For construction can be used in a variety of materials. Including you can find projects of houses from foam blocks with garage. Empire – the most solemn style, in which every feature of the building should create a festive mood. 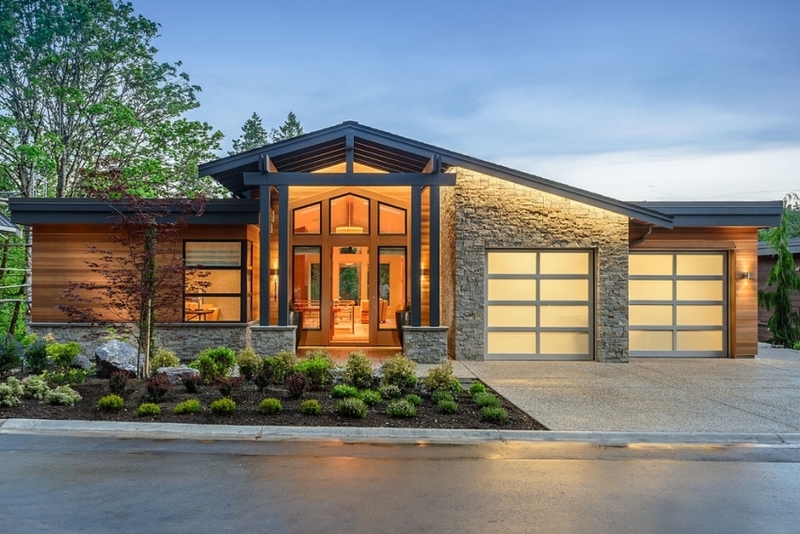 Not the easiest solution when it comes to the need to make a garage attached to the house. The photo, however, perfectly demonstrate just how dramatic can be the outcome if you approach this issue with due care. A useful tip! 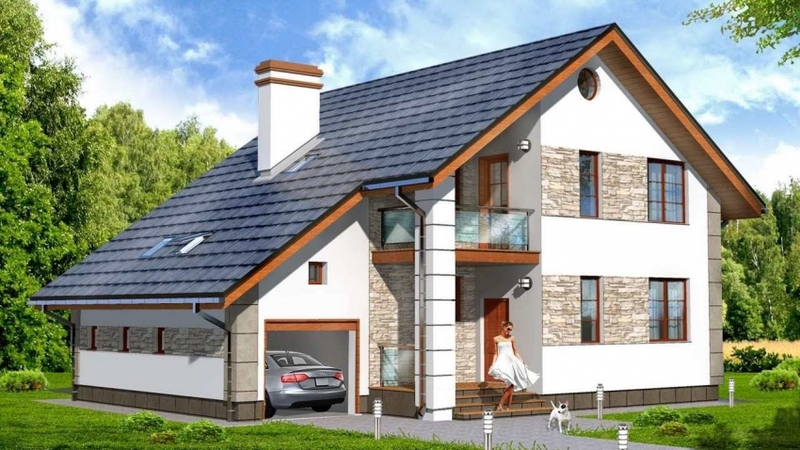 Among the unconventional ideas we can consider the project one-storey house with attic and garage. Implementation of this idea will allow to create additional living space, even if the garage and the upstairs rooms will have to attach to the existing home. the undisputed leader for many years, is a brick. The features of this material include a large weight which causes needed to lay a solid Foundation. In addition, the cost of bricks can not be called low, which is, however, quite justified by its durability, insulation properties and a long service life. Despite the fact that the implementation of the plan one story house with a garage is not an easy task, many owners do not stop this, and additionally creating other structures – gazebo, sauna, veranda, etc. Often provided in the projects of single-storey houses with garage and terrace with bath, which themselves would occupy too much space on the site. This solution has its difficulties, but at the same time retains benefits in the event of any combination – save time, effort, and building materials. In addition, there is no need to overcome significant distance from one object to another. You can also consider an interesting variant of a more rational use of available resources. For example, to heat a garage from the furnace, which is located in the bath. Sometimes this option is used for partial heating of the house. However, in this case, it is important to design to the heat from the furnace was lost, and could be used. Important! This method of heating is best used as additional. The more that this method is not very effective when it comes to premises with an area exceeding 100 m2. 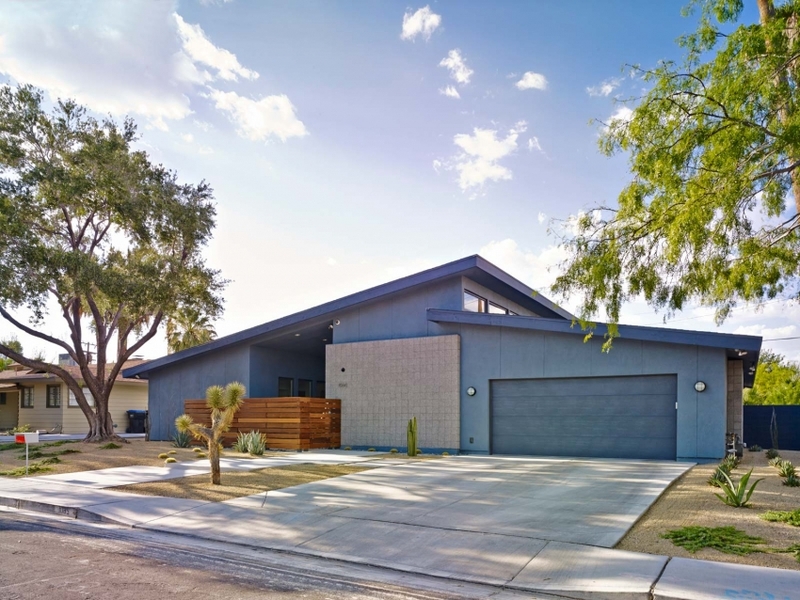 Looking through photos of single-storey houses with garage, as well as more complex buildings that have a loft or room, it must be noted that this decision is not only an opportunity to save money. 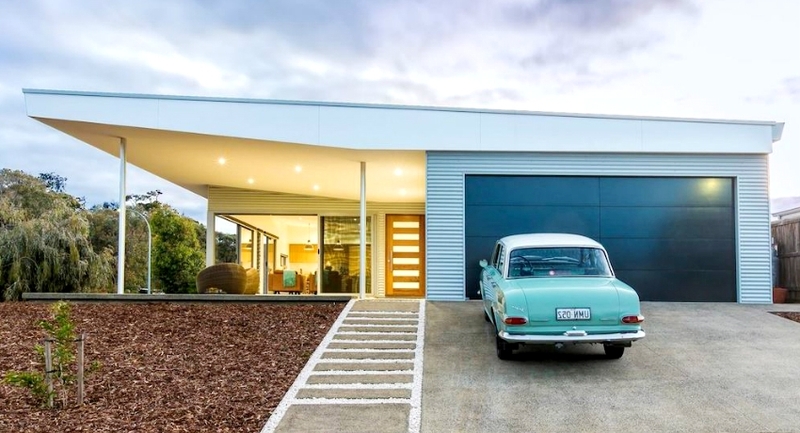 For many it is the opportunity to design the most comfortable to operate a home that allows you to conveniently store and maintain the cars existing in the family.